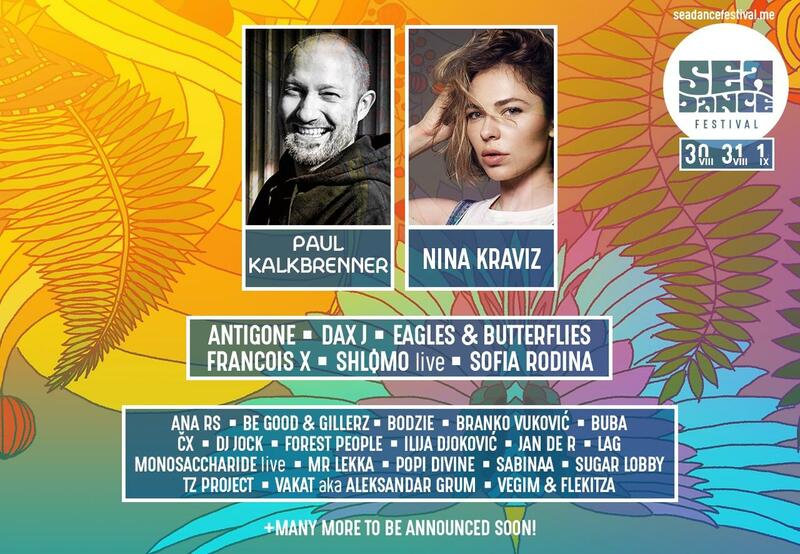 Absolute masters of today’s world electronic scene, Paul Kalkbrennerand Nina Kraviz, will be coming to Montenegro for the first time, to the fifth edition of the Sea Dance Festival! One of the greatest producers of electronic music in the world, Paul Kalkbrenner is well-known for headlining the greatest festival and stadium spectacles in front of tens of thousands of people, the venues which have been reserved only for the greatest bands of the world, such as U2 or Rolling Stones. His performance at the 25th anniversary of the fall of the Berlin wall, in front of half a million people, is still something that is talked about. Alongside him, Nina Kraviz, the leading DJ of today and an icon of the global electronic scene, confirmed her own show at Sea Dance. Her ascend into musical Olympus has been recognized by MixMag that has officially identified her as the best DJ in the world! Leading electronic festivals such as Awakenings, Time Warp, Movement and others have signed her up as their headliner, while her best festival moments include the epic Exit performance, where she had inspired perhaps the most impressive scene in the history of Dance Arena, with tens of thousands of people chanting her name, calling her out twice for encore, as if it had been a rock performance at a huge stadium. No Sleep, the favorite stage among the lovers of good times and great DJ sets will this year be taken over by one of the greatest techno stars of the new generation, Dax J, as well as the main figures of the French techno scene: Antigone, Francois X and Shlømo, while the more alternative house sound will be the work of a Russian rising star, Sofia Rodina! Following them are the main regional and local names, including Lag, Vakat AKA Aleksandar Grum, Forest People, Gillerz & Be Good, Ilija Djoković, Sugar Lobby, Monosaccharide, Bodzie, Popi Divine, Mr. Lekka, Branko Vuković, Buba, Vegim & Flekitza, Ana RS, TZ Project, ČX, Sabinaa and Jan De R, who are bound to keep the sandy stage sleepless from August 30 to September 1, on the beautiful turquoise beach near Buljarice. EXIT Festival adds French Montana, Joseph Capriati and ZHU to its star-studded bill! [email protected] global competition extended until 1st April!